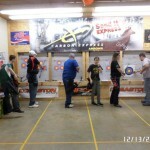 At Barefoot Archery, we have a 20 yard, eight lane USA Archery approved range that is well lighted, clean and safe. 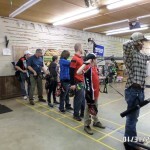 Practice or learn to shoot in our Indoor Range that is cool in summer and warm in the winter. 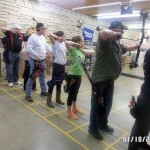 If you don’t have a bow but want to come and shoot with friends we have several bows for rent including recurve and compound bows. Interested in booking a range for an upcoming event? 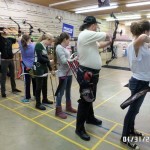 We host birthdays, private, and corporate events at our Indoor Archery Range. 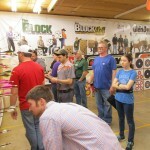 The Range is open to public during business hours but it is best to call for appointment. 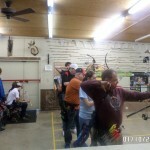 Bowhunters, the heat can be in the high 90s in August. 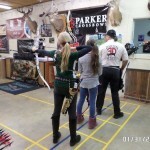 Come in and use our air conditioned range to get ready for the September bow season. 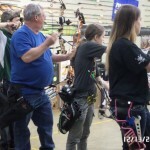 The staff at Barefoot Archery are hunters with many years of experience. We can help you make any adjustments needed before you head to the woods this fall. Cost: If you have your own equipment $10.00 per hour. 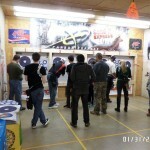 If you need to rent equipment we charge $25.00 for one hour Range time and Equipment rental.